Urbanite, Miami- Tonight Urbanite hosts it's third monthly beer dinner. If you haven't made reservations yet you better call quick and see if they can still fit you in. The food and beer pairings look great. The dinner starts at 8:30PM and will run you only $40 plus tax and gratuity. The Lodge, Boca Raton- This is the official launch party for Magic Hat. If you are not familiar with the great Vermont brewery this is your chance to check it out. Magic Hat's #9 is the only beer available as of now but it is a great one to start on. The Lodge is having pitchers of #9 for only $9.99 and pints for $3.99. A Magic Hat rep will be there giving out lots of other goodies as well. Abraxas, Miami Beach- If you still have room after you finish up a great beer dinner at Urbanite you can head on over to Abraxas where they will be tapping the first kegs of Cigar City in Miami. They will have Jai Alai IPA and Maduro Oatmeal Brown Ale both available tonight. 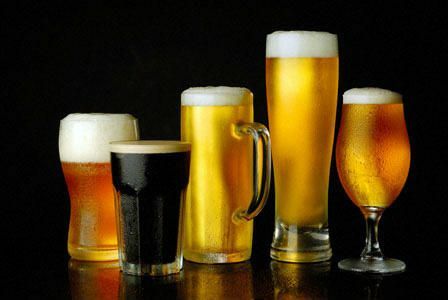 They will also have their 2x1 happy hour on select beer and wines until 10pm. BX Beer Depot, Lake Worth- If you have ever wanted to learn how to brew your own beer, here is your chance. BX Beer Depot will be holding a home brewing class from 10:00AM-12:00PM. This is great way to learn everything about brewing your own beer at home. 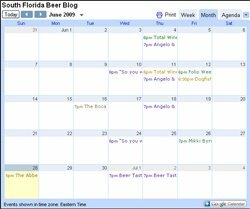 Following the class will be the first meetup for the newly formed South Florida Beer Lovers and Home Brewers Meetup (click on the name to become part of the meetup group). It will be group brew, so bring your brew pot on down and join in. The class from 10:00AM-12:00PM will run you $25 but the meetup after is free. Charm City Burgers, Deerfield Beach- If you haven't been to one of my buddy Burger Beast's events before you have been missing out on some great burgers and good times. Well, this time Burger Beast is hosting an event at Charm City Burgers called "Meet The Burger Beast" at 3:00PM. Not only will there be burgers but Fresh Beer will also be coming down for the event to pair one of their many great beers with the menu. Combos will be available for a beer and burger. The menu looks quite interesting.